Are you gearing up for a DIY home renovation? Was your home built before 1990? If you’ve answered yes to both these questions, then there is a chance you might come across asbestos. Despite being a highly toxic material, with the right equipment, and when dealing with small quantities, asbestos doesn’t have to ruin your DIY dream. 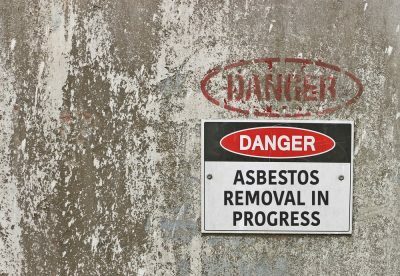 Asbestos has been illegal in Australia since 2003. However, most residential construction using asbestos was ceased in the late eighties. If your home was built before the 1980’s there is a very high chance it will contain asbestos. If it was build between 1980 and 1990, there is moderate chance part of the building was made with asbestos containing materials. Legally, unqualified homeowners can only remove up to 10m2 (approximately 100kg) on their own. If you have any more than this to remove, then you are legally required to call in expert removalists. So, you’ve decided that you doing to tackle asbestos yourself. But, what exactly does that mean? To safely remove asbestos yourself, you need to assume the role of the profession. That means you need the personal protective equipment and all the tools to match. Get ready to assume the role of the sci-fi warrior, because to safely remove asbestos you need to get decked out in a hazmat-style suit. Complete with gloves and mask. For the safe removal, area treatment and disposal of asbestos, very strict and specific tools and actions must be followed. Remember: Asbestos is an airborne hazardous particle which is 50-200 times smaller than the air we breathe! After clearing all furniture and other items from the work area, use the thick sheeting to protect the area you are working in by laying it on the floor. Minimising the release of the asbestos fibres is of utmost importance. While some suggest that asbestos dust can be safely removed by simply sweeping it up. It can not. Sweeping only circulates the fibres. For this reason, the safest procedure is to invest in an H Type (hazardous dust approved) vacuum with disposable bag. The unit will include a High Efficiency Particle Absorber (HEPA)..
An H Type vacuum is specifically designed to capture asbestos fibres, unlike a standard house or commercial vacuums which disperse the fibres further. As mentioned above, the only way to truly remove asbestos dust is with a specific hazardous material vacuum. The use of wet wipes or a damp cloth after vacuuming will also help ensure all fibres are removed. All cloths or wipes must be disposed of immediately by sealing them in the asbestos waste bags. Do not try to rinse and reuse it. To correctly dispose of the waste material, you must place it in specific hazardous material, thick plastic bags. These bags must be labelled and can only be disposed of at certain locations. Tip: Don’t be tempted to completely fill the waste bag, but rather. Double bag (that is place the first bag into a new bag) and seal using PVC duct tape to twist seal the first, then twist seal and goose-neck the second outer bag. The team at Excel Asbestos have ready to go, comprehensive DIY asbestos removal kits, inclusive of all equipment, including the H Type vacuum. The team drop off and pick up the kit and waste so you don’t have to worry about waste disposal. Plus, you will get detailed, easy to follow instructions from professionals. If you have more than 10m2 of asbestos to remove. Or you are second guessing the responsibility of the task, the professional team at Excel Asbestos can handle all of your asbestos removal and disposal needs. Contact the team today to find out more, we’re here to help.